I want to build a chessboard that can act either independently or as a bluetooth device. Does it'll work? what do you think? Last edited by skuller on Sat Jan 25, 2014 11:44 pm, edited 1 time in total. I will assume that one or 2 leds will be on at the same times. 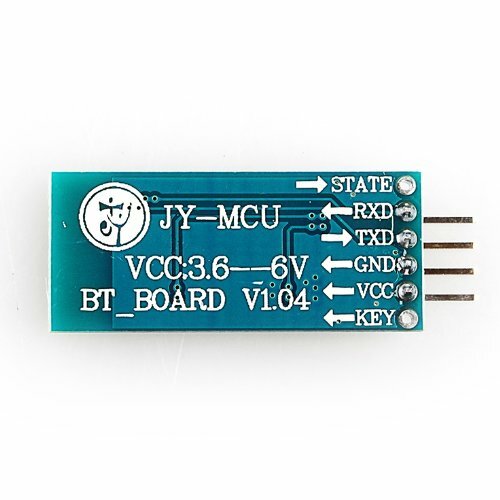 Your bluetooth device should be on the 3.3V. If it is the same that the one I got. Anyway serial is 3.3V on the PI so 3.3V it is. I don't think that 2 AA batteries will be able to supply 1A for a long period. Even not sure it they will supply 1A. Don't forget if you step up from 3V to 5V, the power is the same and at 3V , the efficiency will be around 75% . The Input current should be roughly double on the battery side. I suggest to opposite, use 6 batteries with a step down regulator. It will be more effective since battery could be a little bit discharge and still gives enough power. A step down regulator like OKI-78SR, which will be around 90% efficient around 9V input voltage. I think your project is doable. and will close contact (capacitive way). Maybe an old USB keyboard with the cpu stripped and the matrix reconnected to the chess board. This way you could just check the scan key to figure out which piece was lift and where it was put back on the chess board. ok thank you for your response. I forgot to mention that I have a model A.
ok. I already ordered the adapter so i'll try with 4 AA battery (i update the pic). apparently this is enough for ~3h. I checked the bluetooth specification and you need 3.3V. All GPIO on the Raspberry Pi are 3.3V anyway. I did you use it and it is working very well. So Just 3.3V instead of 5V. Last edited by skuller on Sun Jan 26, 2014 1:51 am, edited 2 times in total. This project is very interesting, however I'm confused about the detection method used. As I understand each chess piece has a magnet attached and when in close proximity to the reed switch a signal is detected on the matrix grid. If that's the case then surely having several chess pieces on the board would also trigger other parts of the grid casing many signals to cross over?? How can you tell which chess piece is where on the board unless that is the magnet only causes momentary connections with the reed switches and not a permanent contact?? redhawk wrote: This project is very interesting, however I'm confused about the detection method used. Strength: We have to find a balanced value of strength, since excessive strenght may result in premature malfunction of the switches (by deformation of the reeds), in addition to not only activate the switch of its square but the others around. Ok, not exactly the same. That's what the diodes are for. Multiple switches can be detected. A normal keyboard (scanner) with. Diodes at the crossing points, I'll have to think about that one (not suggesting any one is wrong of course). Ah yes I'm on hols and 8 pints down but it does makes sense (to me). Perfect then except only being able to Id the piece from memory only. If you made a pegboard style chessboard with 2.5mm jack sockets (think travel chess) you could wire a resistor between the pins of the jack plugs mounted on the pieces. You could then read the resistance value via matrix scanning. That should allow you to find out which of the 6 pieces is in each square. Put a diode across the resistor for all white pieces and you could detect colour by testing forward and reverse polarity. It may not be elegant but it should work. Maybe some sort of magnetic connector (e.g. "Magsafe") could be used to get good connections to the base of the chess pieces.